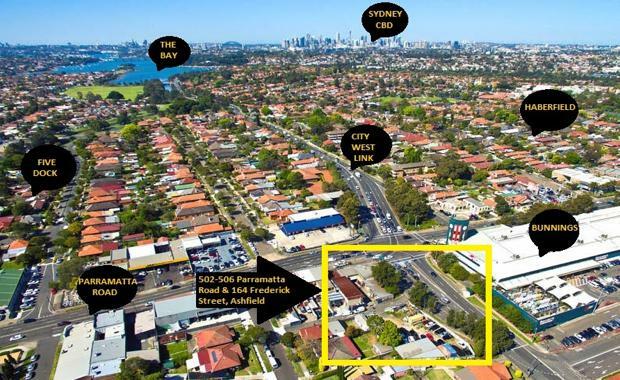 A potential mixed use development site (STCA) situated on a prominent Parramatta Road corner at Ashfield in Sydney's inner western suburbs has been sold for the first time in 30 years in a record price for the area. The high profile site adjacent to Bunnings at 502-596 Parramatta Road was sold for $3,987 per square metre to a local owner occupier by Ray White Commercial Inner West's Kristian Morris and Tim Morrison. Mr Morris said the sale price for the landmark corner block, which was the site of a former timber yard and is located one of Sydney’s busiest corners, eclipsed the previous record for the B6 Enterprise corridor zone of $3,977 per sqm. “This is the highest profile corner in the inner west and the price ended up reflecting that,” Mr Morris said. “Rarely do sites of this size and quality come up in Sydney’s inner west, especially along the ever changing Parramatta Rd corridor near the WestConnex extensions to the M4. Mr Morrison said the property is surrounded by a high disposable income suburban demographic and is a short distance to Ashfield’s retail precinct and railway station. “The site is zoned Flexible B6 Enterprise Corridor which allows a 15m building height limit and a maximum floor space ratio (FSR) of 1:5:1,” he said.